If you are looking for information on how to get cast on “Empire”…. here you go. “Empire” is filming new episodes for season 4 this month and there is a new casting call for Chicagoland locals who would like to be cast as extras / featured extras on the show. “Empire” returned to production this past summer in Chicago and the show’s extras casting directors at Chicago’s 4 Star casting are ONLY interested in talent that lives in and around the Chicago area. Lee Daniels’ edgy, hip hop music oriented drama is back. “Empire” has returned to production in Chicago and is currently only interested in talent that is local to the Chicago area. Production on the show began in July and “Empire” will continue filming in the area through the spring of of 2019. The series stars Terrence Howard, Taraji P. Henson and Gabourey Sidibe. 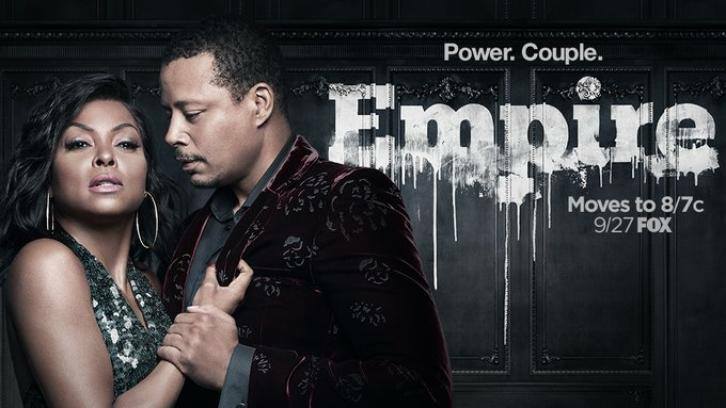 ”Empire” focuses on self made music mogul Lucious Lyon, played by Terrence Howard, his music label, Empire Entertainment and the family drama over who gets to control the company. FEMALE MUSIC ENGINEER: Female, African American, ages 25-40, real engineers are preferred. REAL POKER DEALER: Male, all ethnicities,ages: 35-60, Must have real experience as a poker dealer and list that experience in your submission email. HIGH STAKES POKER PLAYERS: Male/Female, ages 40-50 any ethnicity, attractive, tycoons of the industry, must have REAL experience playing poker and detail that in your submission. I want to play a role as Jamal Lyon. My name is Christopher Jones. I don’t want to lose my favorite show empire because what happened with Jussie Smollett. With out Jamal there is no empire. You guys need me. I am a Caucasian female, 50’s with acting experience in NY. Boston. Doctor, Lawyer, CEO, psychiatrist, Judge, Therapist, Detective, grandparent roles in the past. Low maintenance and happy to work. If you need my type , please let me know. Thank you! I am a mature older African American female who works as a background actress. If you are ever in need of extras or a new character that fits my description, please send me an email for an audition, photos/headshots available upon request.. Thank you. Peace! I’m a 41 year old African-American female; who hasn’t been on stage since grade school. I can sing, dance, and interpret acting. If your looking for a true “Detroit” girl, than I’m the one. Please contact me if the production company is interested. ALWAYS WILLING TO LEARN FROM THE BEST! I’m a 33yr old African American woman very talented, I’ve been doing drama majority of my life as far as schooling, and if given the opportunity I can show you the multiple personalities that I can bring lol and open to new ones!! I believe I can be a great asset to you all’s production if you allow me to BRING IT! Very motivated, inspiring future actress! Not shy by long shot. Acting is my ambition! A realist.